Tool company ‘grows’ own employees - Meyer Tool & Mfg. The nondescript exterior of Meyer Tool & Manufacturing belies what goes on inside the Oak Lawn business. 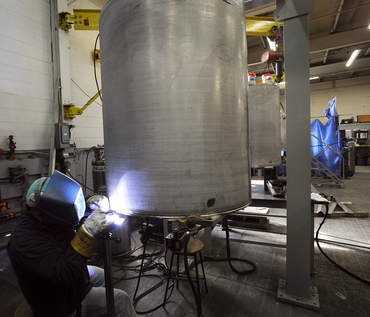 From slabs of stainless steel and aluminum, employees fabricate components such as cryogenic and vacuum chambers that are used in high-energy particle accelerators at federal research facilities across the country. People with the skills needed to make the components are getting harder and harder to find, so, like so many other manufacturers, Meyer Tool also is “building” employees. Along with providing training, the company will pay for college courses that enhance an employee’s skills, Eileen Cunningham, Meyer’s president, said. 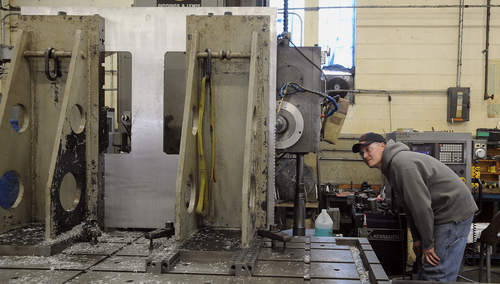 “Pretty much our whole machine shop we’ve grown ourselves,” she said. While the country’s unemployment rate has remained stubbornly high, the nation’s employers say they have thousands of jobs they can’t fill because applicants aren’t up to snuff. 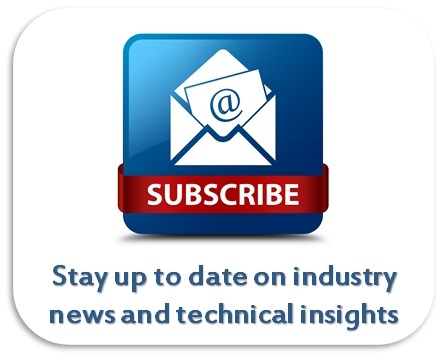 Investing in training can be difficult for some companies that are struggling financially and funding for government programs that reimburse businesses for training has shrunk. 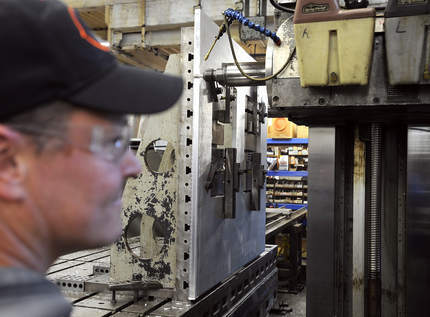 For a company such as Meyer Tool, “it’s difficult, if almost impossible” to find qualified job applicants, and the company always has a need for experienced welders and machinists, Ed Bonnema, vice president of operations, said. “We do unique things here,” he said. Meyer Tool was incorporated in September 1969, after having been started by Frank Meyer, at the time a machinist at Argonne National Laboratory, in the garage of his Evergreen Park home. Back then, young people saw manufacturing as a path to a good-paying job, said Cunningham, Meyer’s daughter. “A lot of people went into the trades programs in the high schools” back then, she said. Meyer Tool used to have a work-study program with Oak Lawn Community High School, but that collaboration ended several years ago, Cunningham said. However, two Oak Lawn students who took part in the program ultimately went to work for Meyer Tool and still are there — Doug Carvelli, the company’s shop supervisor, and Fred Jeeninga, a machinist. Cunningham said the company does host interns from Austin Polytechnical Academy, a high school in Chicago’s Austin community that has a shop and shop classes and is trying to provide manufacturing career options to students. Meyer’s core customer base predominately has been government-funded Department of Energy laboratories, including Argonne and Fermi in the Chicago area, as well as Thomas Jefferson National Accelerator Facility in Virginia and Brookhaven in New York. 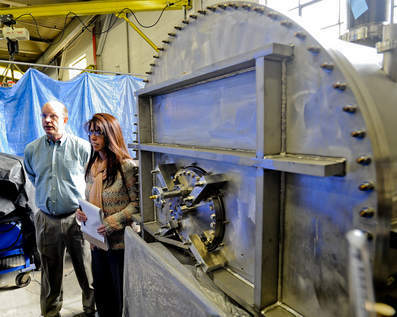 The company is working on components that will be used in an update of the particle accelerator at Thomas Jefferson. Frank Meyer retired as the company’s president in 2003, at which time his daughter took over. He died in 2006. Cunningham said that, going into the recession, the company had a strong backlog of work to help carry it through. Also, federal stimulus money helped push up DOE-related work that wasn’t supposed to get under way until later, she said. While most of the company’s revenues are still derived from work for federal research labs, Cunningham said funding for scientific research has plateaued, prompting Meyer Tool to “look for other industrial opportunities” to broaden its customer base. Cunningham said Meyer Tool and other businesses in the field that do work for DOE labs have been told that “flat is the new up” as far as federal funding. She and Bonnema said that, as a fraction of the overall federal budget, spending on scientific research amounts to a hill of beans, and that the United States risks losing its position as a leader in the development of new technologies. “We can’t be leaders if we don’t have anything to lead with,” Cunningham said. 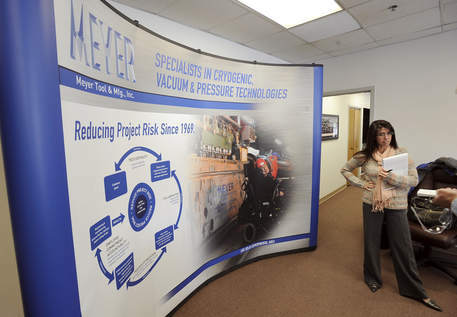 Eileen Cunningham, President of Meyer Tool & Manufacturing Inc. in their offices. Components such as cryogenic vessels and vacuum chambers made by Meyer Tool are key elements of particle accelerators used by physicists to study the sub-atomic composition of energy and matter. Beams of atoms traveling at speeds approaching the speed of light are smashed into one another or against targets. Some accelerators use electromagnets to steer and increase the speed of the particle beams. To achieve the magnetic fields necessary at reasonable energy levels, the magnets are “superconducting,” kept at super-cold, or cryogenic, temperatures using liquid helium, which, at minus 452 degrees Fahrenheit, is approaching absolute zero. The accelerators fire the beams in a vacuum so airless it nearly replicates the vacuum of deep space. Old-style tube televisions and even the microwave oven in your kitchen are, in a sense, smaller and far less powerful versions of the accelerators scientists use. Fred Jeenninga keeps his eyes on a frame that will support the world's most powerful laser at the National Ignition Facility. Eileen Cunningham, President of Meyer Tool & Manufacturing Inc,. stands with Ed Bonnema, Vice President of Operations, near a super conducting cryomodule in their factory. Geno Thedens welds part of a vacuum vessel. 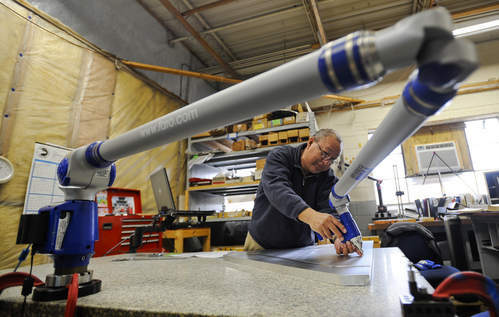 Fred Jeennings keeps his eyes on a frame that will support the world's most powerful laser at the National Ignition Facility. 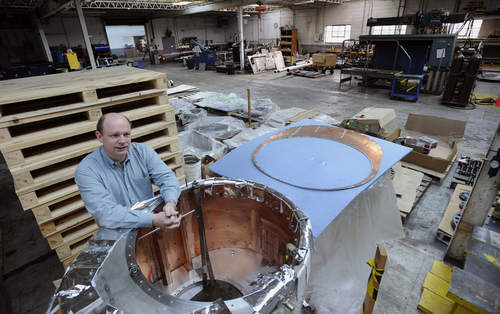 Ed Bonnema, Vice President of Operations for Meyer Tool & Manufacturing, Inc., stands near parts for a super conducting cryomodule. Rafeal Yah does a dimensional inspection of a machine part. 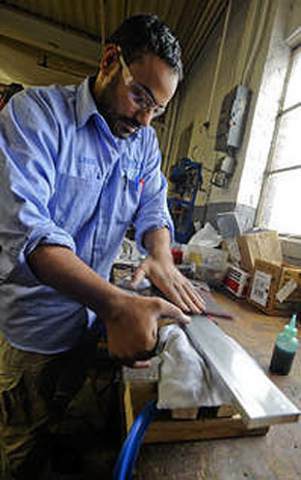 Lakchi Singh polishes a piece of aluminum.